Custom portal wording is part of a paid add-on. To access this add-on, please go to your Billing Settings to add the add-on to your account. The add-on is currently in free beta, please reach out to us so we can activate it for you! 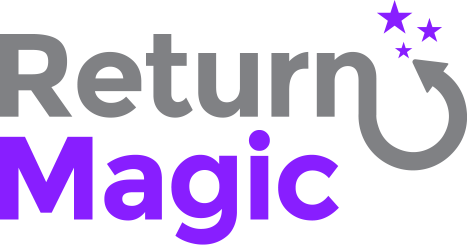 Note that Return Magic does not support any HTML changes to the Portal: we are not able to add structure to any of the pages (e.g. create new paragraphs), or to add or remove pages in the Portal (e.g. we cannot add or remove a step to the return request). You can only add content above and below the Portal using the Portal Content settings. We also are not able to support displaying different verbiage depending on your rules. How does the Portal Wording editor work? Head to your Settings, under Portal > Content, and you'll see a tab "Portal Wording". There, you'll be able to edit the wording that appears on the portal. Any edited fields are marked by a purple dot, and just make sure to save any changes you make!